Is Flavored Water Healthy for Kids? Propel flavored water is basically flavored water, with a little bit of sugar (2g per serving), calories (10 per serving), and some vitamins and minerals. Some, like Propel Zero, don't have any calories. On the other hand, they don't really have anything that makes them stand out from regular drinking water, especially since they don't include the nutrients that many kids actually need in their diet, namely fiber, calcium, and iron. And keep in mind that the sugar in flavored water, although it is not as much as is in fruit juice or a can of soda, might still put your child at risk for cavities if he drinks the flavored water regularly throughout the day, especially since they don't contain fluoride, like regular tap water might. In fact, the lack of fluoride makes drinking any kind of bottled water a little controversial for kids. 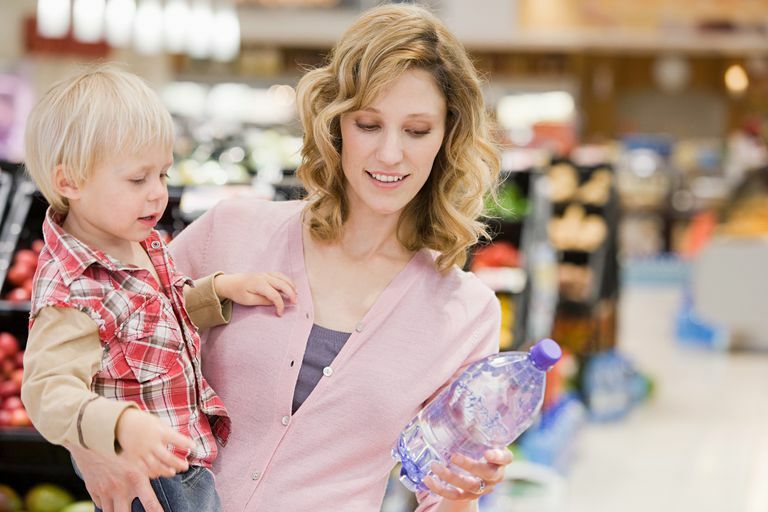 Some parents won't like the fact that some flavored waters, like Propel, do contain artificial sweeteners. It isn't easy to notice this on the label, though. You have to review the list of ingredients and see that sucralose or Splenda is listed. And although not as popular as Splenda, another artificial sweetener is also listed on Propel's list of ingredients - acesulfame potassium. Now although the FDA and most leading medical organizations say that it is safe to give artificial sweeteners to kids, some parents still don't feel comfortable doing so, and that is likely what the controversy you heard was about. In addition to regular flavored water, there are now many "water enhancers" that your kids don't need. Many of these include some vitamins, but most claim to provide energy in the form of extra caffeine. The AAP has stated that they find no role for energy drinks for kids, stating that "energy drinks pose potential health risks primarily because of stimulant content; therefore, they are not appropriate for children and adolescents and should never be consumed." As far as your child's constipation, drinking flavored water would likely help your child, but again, a flavored water is not going to have any extra benefit over regular water. If that is the only way he will drink it, then that may make it worthwhile, though. Many types of flavored water are now available in concentrated drops and powder forms that you can make on your own. If you make one of these with fluoridated tap water, then your kids will still get fluoride with their flavored water. Encouraging a diet that is low in fat by drinking low-fat milk and avoiding fried foods, fast food, etc. Eating raw, unpeeled fruits, including apples, grapes, prunes, etc. Since constipation is often a chronic and difficult-to-treat condition, you might also talk to your pediatrician about your using a stool softener to keep your child regular. Is Giving Children Probiotics a Good Idea for Their Health?